While Nokia works to figure out its present mobile phone situation, the company&apos;s Research Center is keeping its focus towards the future. One of the projects to come out of the NRC is the Nenya concept ring. The simple silver band looks like a regular ring but is completely magnetized. 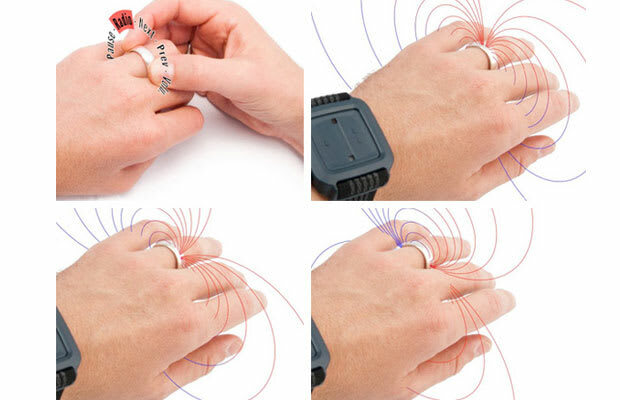 Moving the ring to the right or left alters its magnetic field. Those get picked up by a bracelet that&apos;s connected to your phone via Bluetooth. Each movement can be programmed to perform a different task such as answering calls, playing music, or updating your location on Twitter. After a small series of trials, the researches at NRC found that they could program the ring&apos;s menu to have up to eight options. All of the results from their research will be presented next month at the Conference on Human Factors in Computing Systems in Vancouver, Canada. We&apos;ll stick with our touchscreens, thanks.